You probably won’t be surprised to learn that in a recent study it was found that 64% of adults own a smartphone. What you might find more surprising is that number is up from 35% over just four years. [ref] People have smartphones in their pockets and use them to connect with the world around them. The same study showed that 15% of adults have limited (or no) internet access in any form other than their smartphones. [ref] The message here is that most people prefer to use a smartphone to access information and reach out to their community. In order to reach these people, at the very minimum your website needs to be mobile-ready. We did a recent study and found a surprisingly high percentage of leading church websites were not mobile-ready. 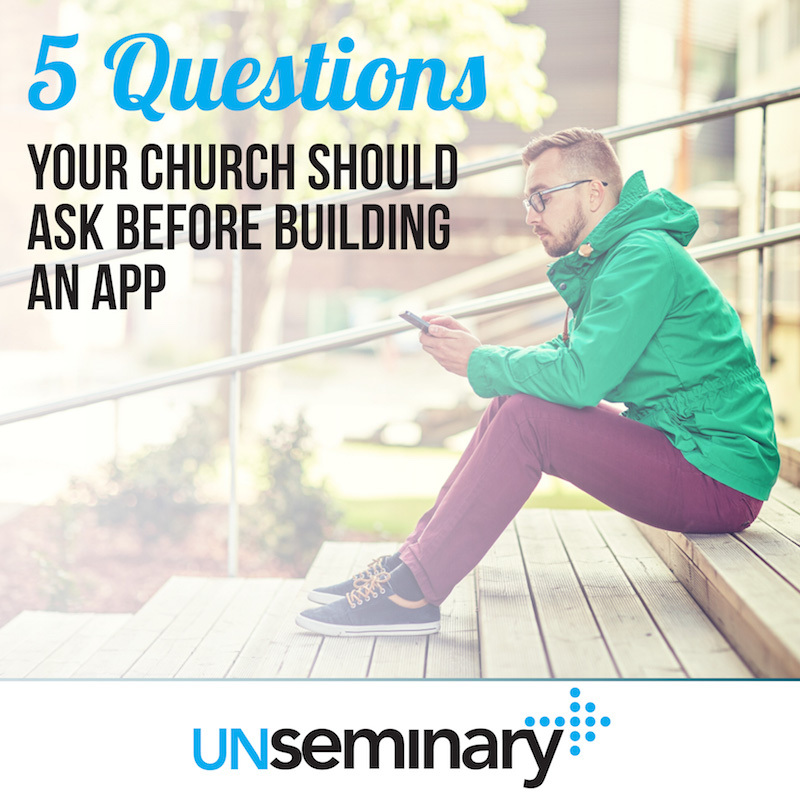 Now is the time for your church to consider developing a mobile app. Apps are native to the smartphone’s operating system, so they are more powerful than a website and offer more interactive features to your users. 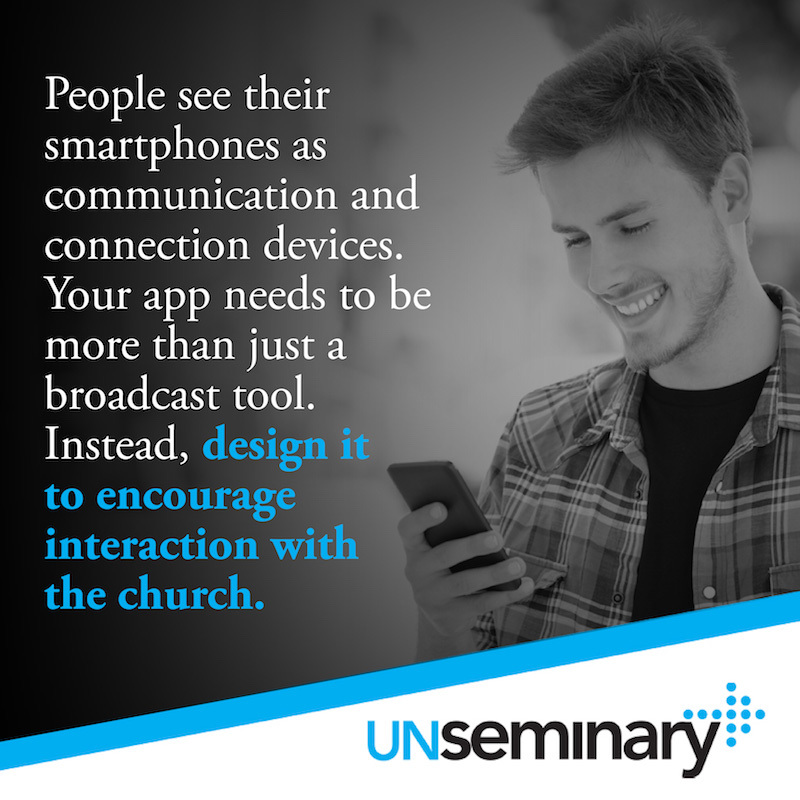 By getting people to install an app, you “own” space on their smartphone, which serves as a constant reminder of your church. How will this tool encourage generosity? // Apps are a powerful channel for churches to receive tithes and offerings. As you build your solution, make sure that giving is core to your app. You want the giving process to be simple and secure. Churches that thoroughly think through the giving side of their app report an almost immediate bump in giving. What can this app do to help build community? // People see their smartphones as communication and connection devices. Your app needs to be more than just a broadcast tool. Instead, design it to encourage interaction with the church. Calendars that list what is happening are a great start but also look for ways to collect feedback for the church through forms. Use the notification features to encourage attendance at various special events. Embed social sharing functions directly into your app to encourage interaction on those networks as well. In what ways can this app leverage existing media assets? // Most churches already generate content and media assets. Ensure that those pieces are tightly integrated into your app. When this is done well, it extends your mission and message beyond the four walls of your church into the broader community. You can put your content right beside the largest brands in the world. Remember, media consumption is a core function of smartphones. What can you do in-service to drive adoption? // Don’t be so busy planning and building your app that you miss the launch promotion. Plan the release around a series of weekends where you can use the app in your services. Take time in the service to encourage people to download and install the app. Show them how the app can be used to interact with the church and users’ own personal spiritual growth. Ideally, you should plan an element in a message in which people would get more out of it if they had the app. How does this tool connect with your existing systems? // As you embark on planning an app, evaluate all of your existing systems. Then figure out how your app can connect with those systems. This might be a good time to think through your church management system and other communication systems to see if they will fit into your mobile app strategy. 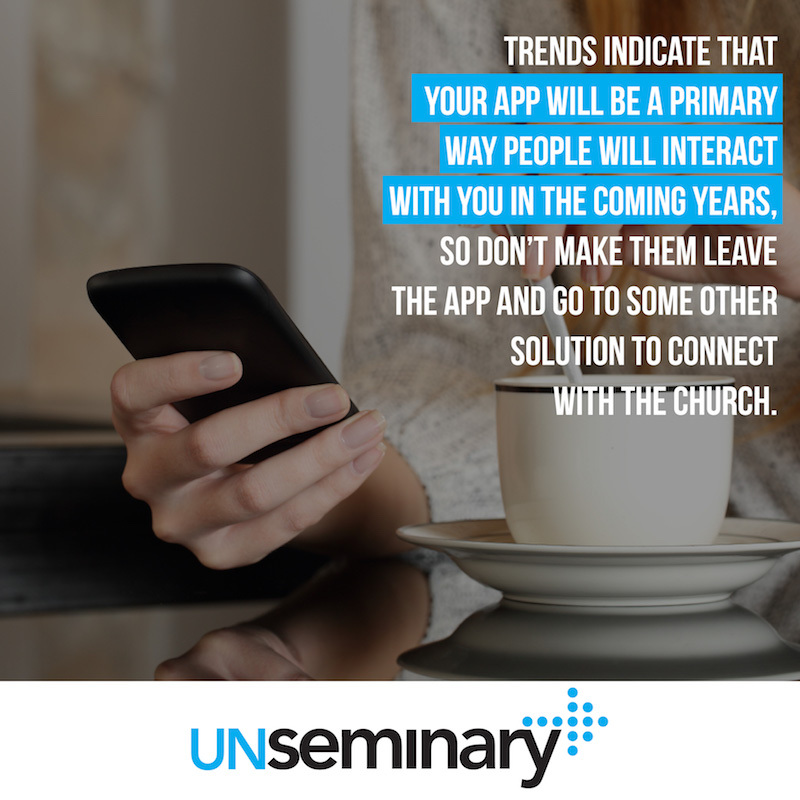 The trends indicate that your app will be a primary way people will interact with you in the coming years, so don’t make them leave the app and go to some other solution to connect with the church. We recommend that you reach out to the good people at Aware3 because they are experts at building custom-branded apps for churches. These apps help ministries drive greater generosity, build stronger community and enhance connections beyond Sunday mornings.